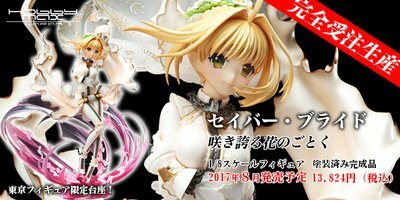 November 23rd, 2016 By: GGT Category: 2017/08 release, Figure News. 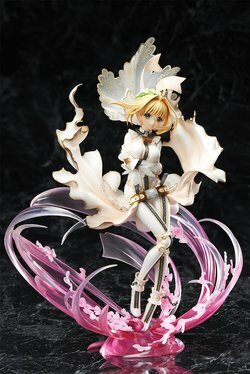 HOBBYMAX is going to release the Saber Bride ( セイバーブライド ) Bonus Ver. 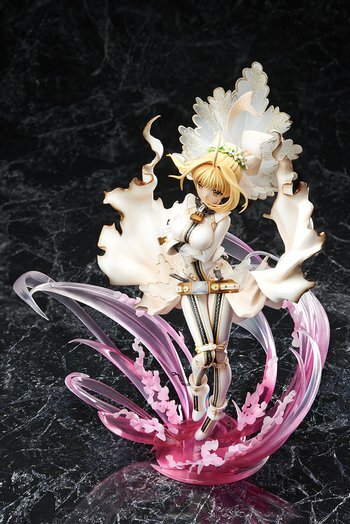 ( 特典版) 1/8 PVC figure form the “Fate/stay night” series “Fate/EXTRA CCC” ( フェイト/エクストラ CCC). Will be released in early August 2016. 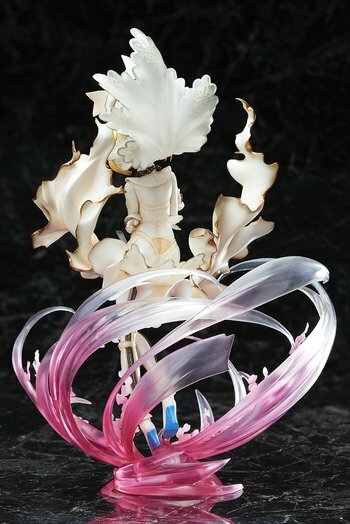 Around 240mm tall, 13,824 yen (taxed in). Tokyo Figure exclusive. 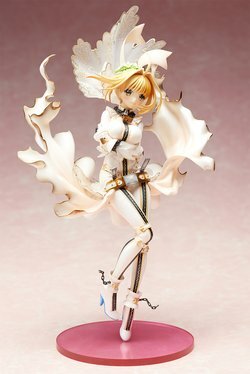 Here comes Saber Bride by HOBBYMAX! She comes in two versions, Standard version and Bonus version. TheStandard version will come with a simple base and the bonus version will come with a really fancy base. For those of you who want to get the Bonus Ver., you can pre-order her at Tokyo Figure HERE with your proxy service.